The digital marketplace presents new challenges for marketers, yet provides the perfect canvas for creating personalized, relevant communications and developing deep relationships with customers based on ongoing interactions. 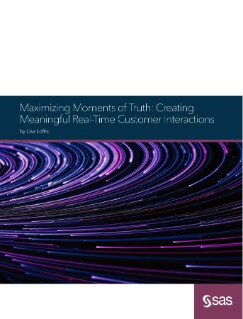 This paper explores what customer “moments of truth” mean, and how understanding those moments of truth along the customer journey enables marketers to deliver the personalized, real-time responses that customers crave. You’ll also learn best practices on how customer experience optimization and digital marketing optimization can help marketers capitalize on moments of truth.